Thai food isn’t something my parents enjoy eating, but between Japanese and Thai food, my dad would choose the latter. While mum enjoys Japanese food, my dad would squirm at the sight of raw fish. At a business lunch once, he sent his plate of very good sashimi back to the kitchen and asked the chef to pan-fry it for him. 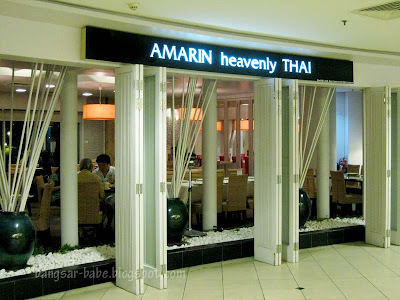 >_< They usually go to Amarin Heavenly Thai when they are in Mid Valley, because it is not as crowded and none of the other restaurants appealed to them. 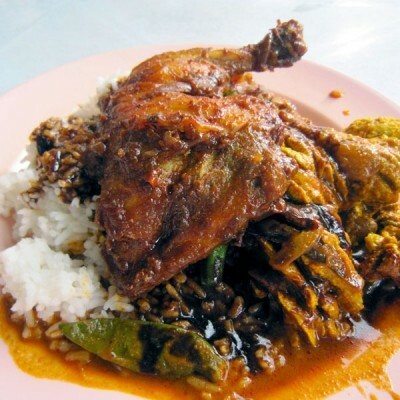 “Thai food in KL is better than Thai food in Bangkok,” said my dad. I called him biased, as a lot of Thai food in KL is modified to suit our Malaysian taste bud. Plus, he is very unadventurous when it comes to food. Refer to sashimi incident above. 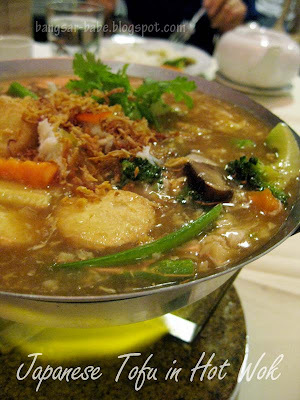 To me, Thai food without tom yum soup is like a 3-tiered wedding cake with no icing. 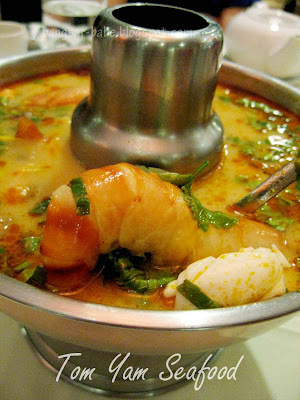 The tom yum seafood’s (RM39.90 per small pot) flavours were assertive and complex. It had all the elements that I like — salty, hot, spicy and sour with a hint of sweetness. I thought it could have been spicier, as I like my tom yum super spicy and sour. You can request for your tom yum to be spicier. I couldn’t because my two sisters would have fainted from the spiciness. 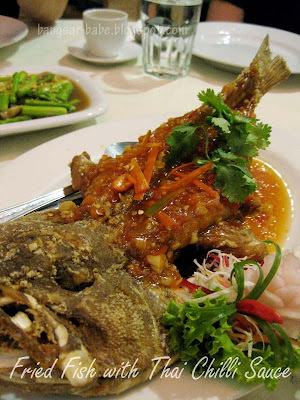 We also had the Deep Fried Garoupa with Thai Chili Sauce (RM48). Fried till golden brown, the fish was piping hot and crunchy. The chilli sauce tasted more like plum sauce to me. It tasted quite mild, despite the presence of chopped chilli padi. The rest of the table enjoyed it, so I figured it was meant for those with can’t take too spicy food. 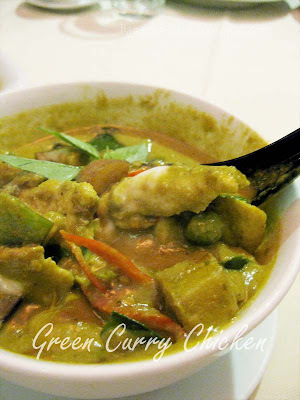 Green curry chicken (RM16 – small) is another must-order dish for me when I’m at a Thai restaurant. 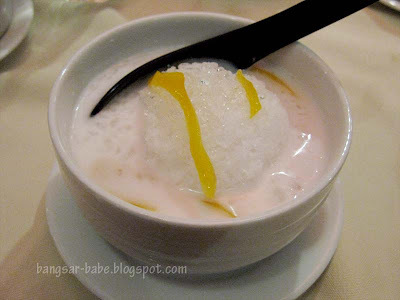 Amarin’s version had a wonderful burst of lemongrass and was spicy enough to make my tongue tingle. 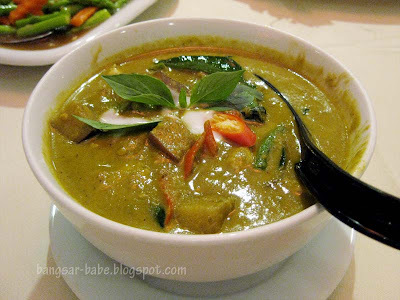 The curry boasted tender chicken chunks, green peas and soft tiny eggplants in thick, spicy gravy. We should have ordered a bigger portion; this was too little for 6 pax. The omelette (RM9) was completely ordinary. 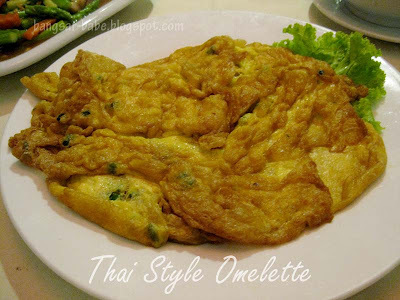 I don’t know why, but dad likes eating egg omelette with green curry. This was very oily, which put him and my mum off. It was instead, shared between myself, my small sister and rif. The other sis also doesn’t like oily food. 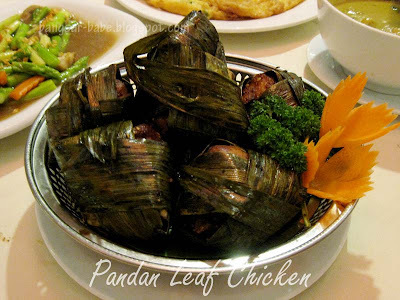 Pandan Leaf Chicken (RM24 – 6 pieces) came highly recommended by our waiter. I also spotted the dish on the other tables that night. 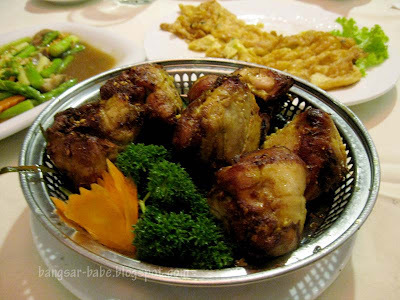 The leaf helps seal the juices of the chicken inside, so the chicken is tender and moist even after it is fried. This was quite good — the chicken was fragrant, slightly sweetish and oh-so-tender. 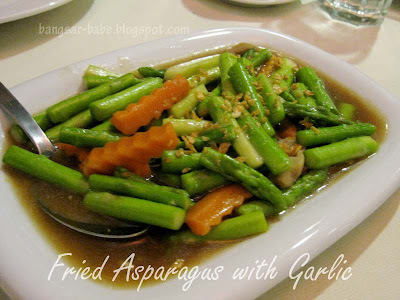 This plate of asparagus with garlic (RM18) was ordered because mum wants her greens. I would have preferred something with chilli or belacan, but mum wanted her vegetables to be clear and ‘healthy’. The Japanese tofu in hot wok (RM18) was similar to the Chinese version. I found the gravy slightly sweetish and not as starchy. Nothing special; but it went well with white rice. 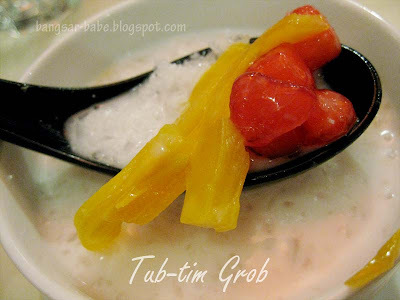 Tub tim grob means crunchy ruby, and this dessert is commonly found on the dessert menu in most Thai restaurants, including Amarin Heavenly Thai. I liked the crunchiness of the water chestnuts and the chewiness of the tapioca flour coating. The sweet and mildly salty coconut milk, and the slivers of jackfruit gave the tub tim grob (RM8) a wider mix of colours and tastes. I would have preferred the coconut milk to be creamier, but my sisters thought it was fine the way it was. It’s my preference, as I tend to like my food rich and creamy. Service was warm and friendly. Our water glasses were never empty and the staff knew what dishes to recommend. Definitely a plus point for Amarin. Verdict: Decent food, lovely presentation but rather pricey. 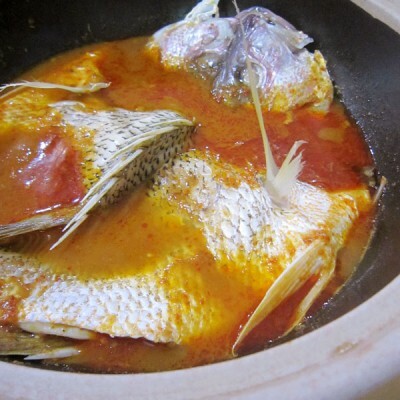 I like their Thai-style steamed fish too….their hot and sour gravy good till the last drop! haha, ur dad prefer the thai food in kl to bkk?! Pricey yes. 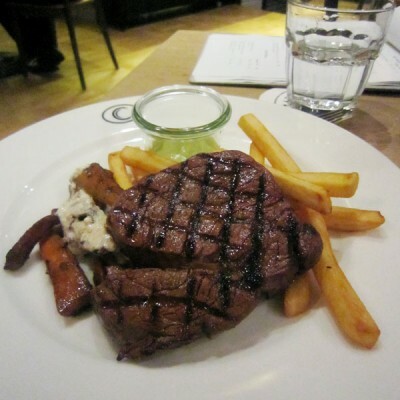 But given the almost impeccable service, and quality of the food, not a bad experience then. 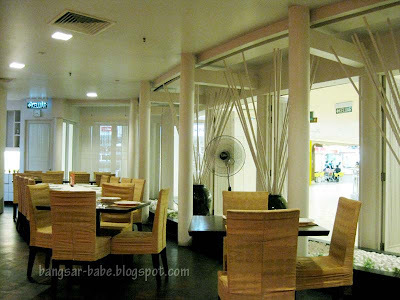 with so many places to chose from especially like the authentic Thai Market Font & Restoran Baan Nok @ Pandan Indah, i feel so reluctant to eat at the malls! iamthewitch – Food was alright…but quite pricey. LFB – Yeah…my dad does this kind of thing a lot! Pea – Maybe I should get my parents to order that when we're there again. Thanks for the tip! hey there bangsar babe!! !i am a great fan of your blog and i read it and update myself every week!love the pictures you take and the way u describe the food!I love Thai food too especially tom yam n green chicken curry.you are the best food blogger I know and I hope that one day u will feature some nice Thai restaurants to eat in penang!thanks so much in advance and all the best to you in the future!! !